It’s human nature. We forget things. And the longer a family business is around, the more likely it is, that subsequent generations lose track of ‘why’ it all started. So do you know your ‘why’? The values held by your founding family members, are a vital part of your business’s history and culture. Therefore, those same values need to be actively passed on to family members as they join the business. However, in most family businesses they’re neither written down or overtly shared. Instead, they’re learned by osmosis – absorbed as time passes and different situations cause them to be used or remembered. Sadly, over time the strength of that natural process weakens. Therefore, it’s important to write down both the history of your business (a simple timeline will start this process) and the reasons why it was started. Why bother? Because your founding principles and practices are important learning tools that help future generations better understand not just the people part, but also the heart behind their inheritance. 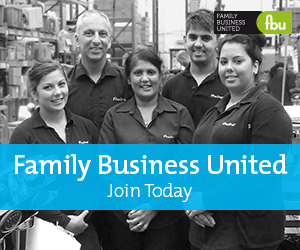 History plays an important role in building, strengthening and maintaining the culture of your business – in short, it creates the ‘family’ in your business.